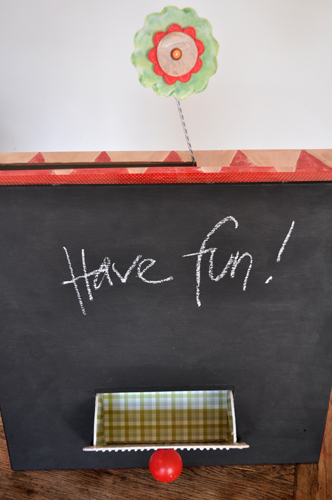 Last Saturday was the great workshop day, my friend Silvia and me did two workshops at the fun Scapbooking place Bambola casa Creativa in Tres Cantos near Madrid: chalkboard boxes with a drawer in the morning and an original recipe book in the afternoon. 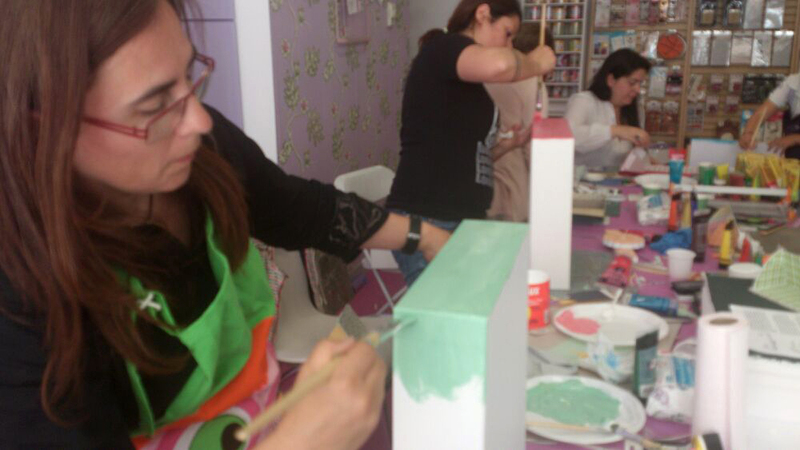 All the participants were in a really good mood – although I hope it wasn’t only the smell of the chalkboard paint that made them so happy ;-), and we created really great things! I had a fabulous time and got very inspired to do the next one soon! 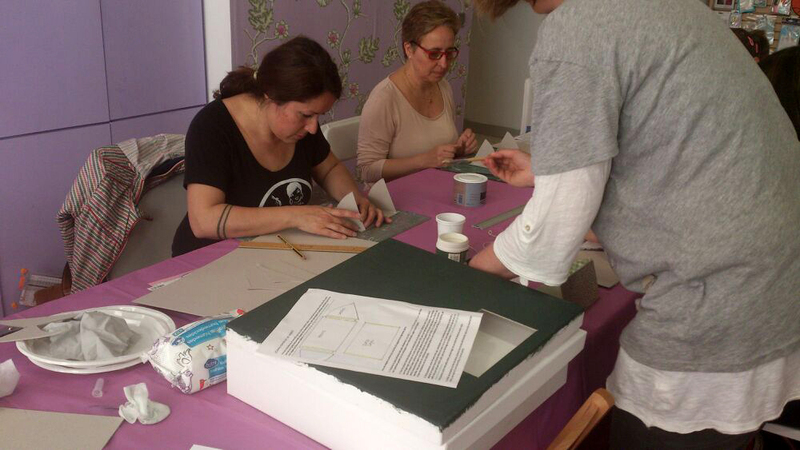 Woohoo, our Jornada creativa is getting really close: it’s this Saturday already! So these days we’re busy getting the materials, writing instructions and assembling the kits for our creative workshop participants! There are a few places left, so if you feel like having fun learning some new techniques about colors, paints, and creative work with paper and cardboard, we’ll be happy to see you on Saturday! 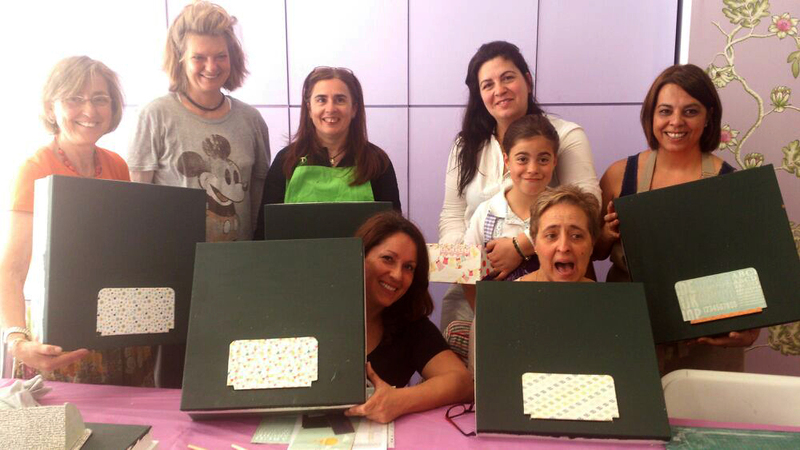 The workshops take place at Bambola, Casa Creativa, Tres Cantos, you can call 91 8061514, or see details here! 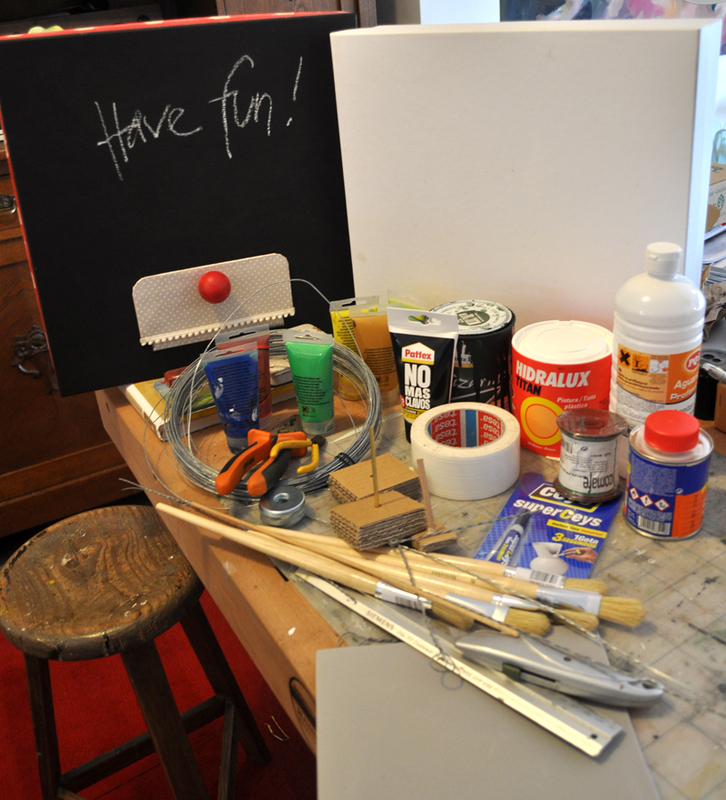 Art and Creativity Workshop set up – Do you like to join us? I hope the workshop is as much fun as the preparations! 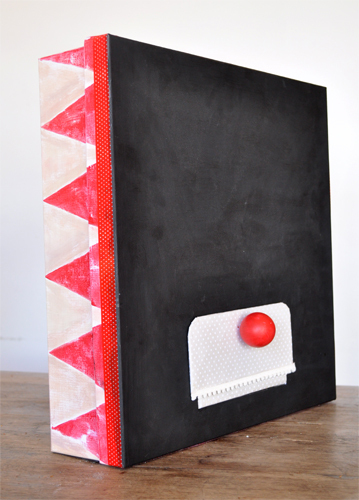 It’s not about dough kneading, but about art – we’ll tell you more about it soon….